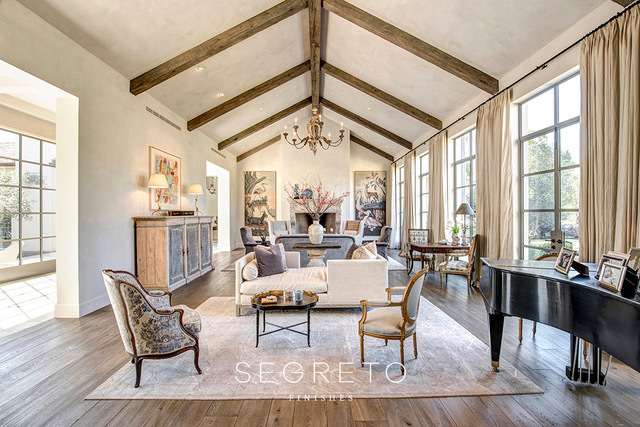 If you love high-end interior design, you’ve probably read the words “Segreto finishes.” Maybe it was in an MLS listing or on Houzz.com or in Architectural Digest. 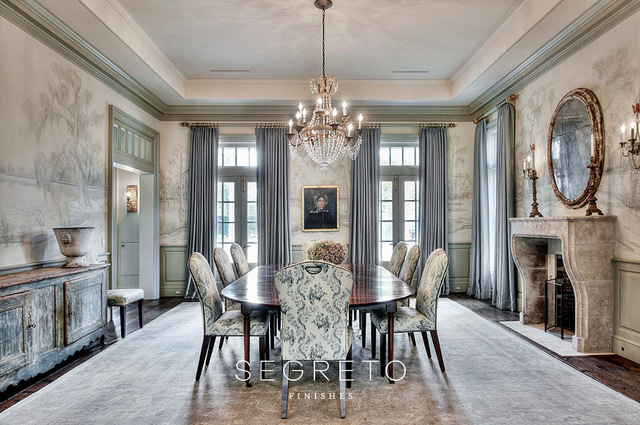 But you might be surprised to learn that Segreto – the word is Italian for “secret” – is a Houston company founded and run by Leslie Sinclair. 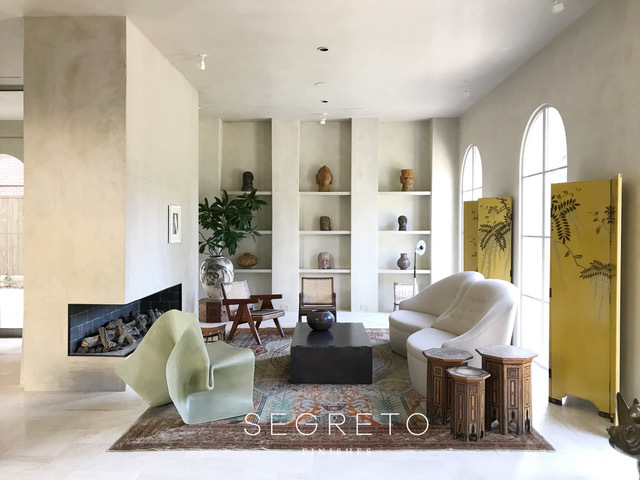 She launched Segreto in 1995, and today the company has more than 40 artisans who work on walls, cabinetry, floors, furniture and much more. She is also the author of three design books (read more here) and is at work on a fourth. We recently caught up with Sinclair to ask a few nosy questions. Tell us about your education. University or straight into work? I went to Westchester High School here in Houston and then off to the University of Texas and graduated with a marketing degree. Looking back, I wish I had traveled a bit and seen the world. I was always very driven, ready to make my mark and be independent. When I was in school, I thought I would be a politician. I wanted to help people and change their lives for the better. In collage I was a student senator from the business school, chairperson for minority affairs and interned with a lobbyist. After that experience and seeing the trade-offs that had to be made to champion your own causes, I decided it was not for me. I have been blessed to have so many wonderful mentors in my life starting with my parents who consistently challenged me to be my best, do more than what was expected, learn from every experience and not be afraid to fail. These lessons, ingrained in me, have really served me well. 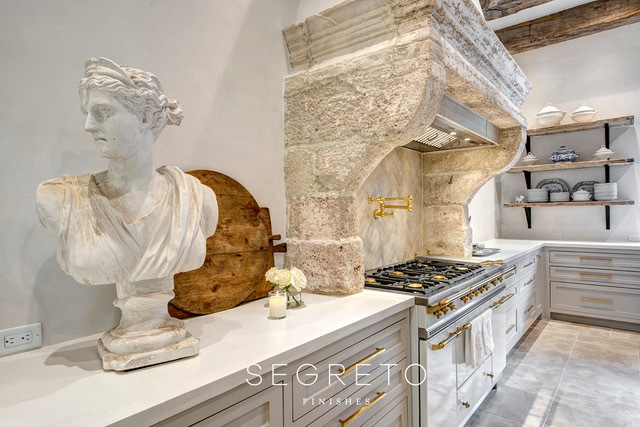 With Segreto, I met an old-school plasterer who became my guardian angel. I was mesmerized by the historical art of the process, and he with my new twist, mixing pigments into the plaster and bonding it directly over sheetrock rather than lath. We collaborated for many years and I owe so much to him. 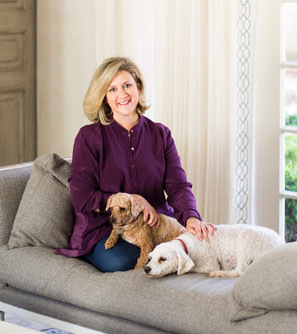 Bringing a lost craft back to Houston totally changed my business and has had an impact on home interiors and the field of decorative arts. What home-decorating mistake do you see again and again? Trying to put every trend into one home. There are so many beautiful things, but less is more much of the time, and there should just be one to two stars in a room. The rest of the elements should balance and compliment. I relate it to wearing too much jewelry with a beautiful dress. However stunning these pieces may be, too much of a good thing detracts from the overall allure of your outfit or home. We have a home in Galveston and a townhouse in Colorado. My husband was a ski instructor in Vail after college, and it has always been his dream to go back and ski those back bowls on a powder day. He chases every snowstorm. We were hoping Galveston would be a place to unwind for me. I love to go … but I’m still working on the unwinding part. I love all flowers; their colors are amazing and when they are sprinkled in my home, they bring a smile to my face. Hydrangeas and roses have to be my favorites. I make going to Trader Joe’s at 8 am a priority so I have my pick of the crop. Unfortunately, no. When my husband John and I married I bought him a large hibiscus potted plant for our new home. I had this sweet letter with it comparing our love to the plant – it would grow and blossom just like our relationship. No matter what I did, the plant seemed to die a little every day. Within a year it was gone. 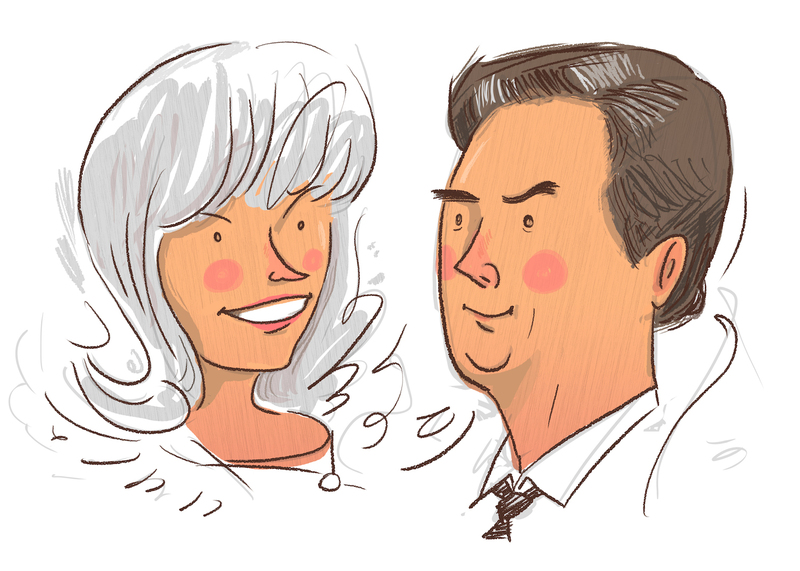 Fortunately, John and I celebrate our 32nd anniversary this year. What is your biggest personal extravagance? Valet and a car wash at the airport. What’s the mantra of your business? I had a young law student look though one of my design books and say to me, “This is beautiful and all, but what’s the purpose?” I smiled and was truly inspired by her save-the-world drive. I thought, that used to be me. I’ve done a lot of soul searching on why I am passionate about what I do and what difference it makes in people’s lives. I really feel by changing people’s surroundings we help our clients live more beautifully. They have a feeling of contentment and happiness at home, which translates into many aspects of their lives. I have developed such deep connections with my clients. After all, home is so personal, and creating environments that respect who they are, where they raise their family and entertain guests has been such an honor and privilege to me and has brought me great joy. 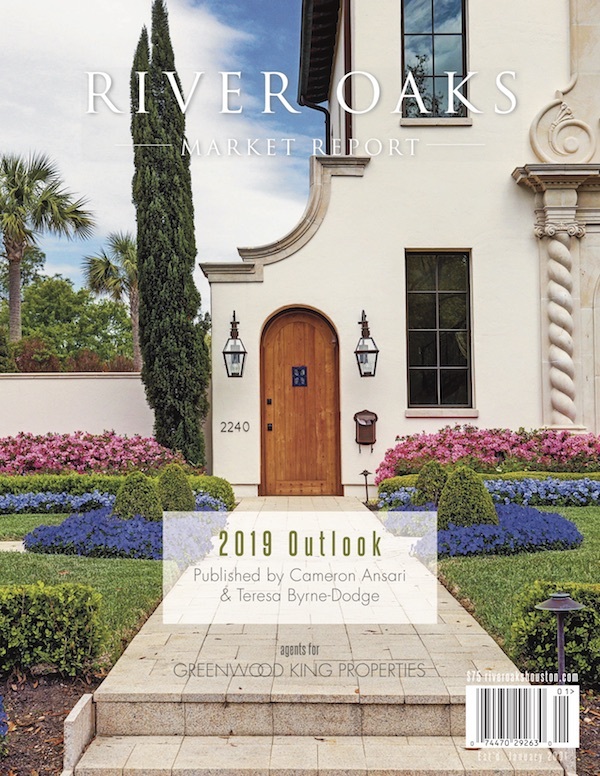 Do you have a favorite Houston neighborhood? I love all of the old homes on North and South Boulevards. The trees that spread over the street remind me of where I grew up in a small town in Georgia, and the 1930s and 40s architecture has always been my favorite. So corny, but I am addicted to Hallmark movies. I love romance and happy endings. Now it is on my bucket list to visit one of those picture-perfect Christmas towns and partake in all of the traditional festivities. I have an amazing staff who is as inspired by artistry, design and serving others as I am. Helping them to see the purpose in what they do and how it effects our clients and our team is something I continually think about. 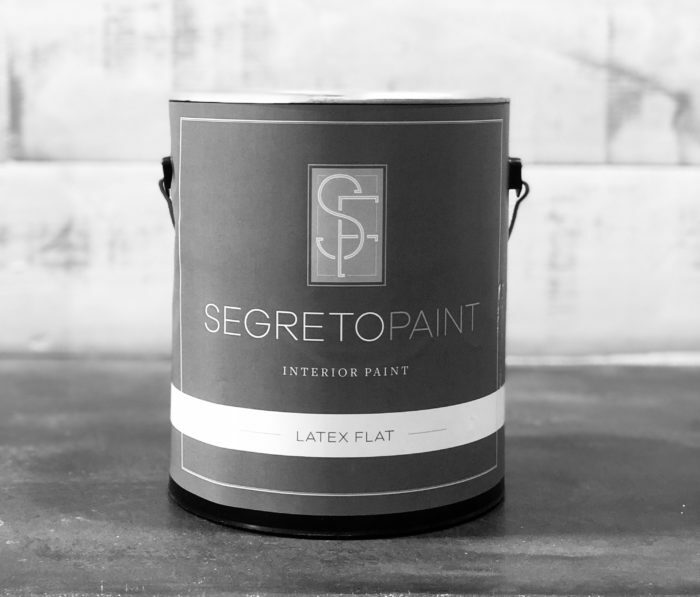 By letting them come up with new ideas and ways to serve our clients, it has not only given us new product lines like SegretoStone – a plaster with which we construct counters, sinks and furnishings – and our new Segreto Paint line, it also gives them great pride in what they bring to our brand and customers. I love all foods. Maybe it is because growing up in the restaurant business, when our family went to dinner, we all had to order something different and share. I have to say though, it’s hard to beat great French fries and a glass of Chardonnay. “At 5 pm, I’m usually thinking about …” a glass of wine. Please tell us a fun fact about yourself that most people don’t know? When I was young, I use to love to build Barbie houses, make all the furniture and drapery and paint the walls and floors with fun designs. I also liked to play in the mud. Who knew both of those childhood pastimes would lead to my current career? Free time is a challenge. Because my job is built around all the things I love, I tend to paint, read about business ideas and come up with new ventures in my off time. I do love to set the table, so entertaining small groups is super fun for me. Your friends are coming to Houston and have never been before. What must they do while they’re here? My poor friends typically go to work with me. They love seeing the beautiful homes we are so lucky to work in. Houston has so many wonderful restaurants, antique shops and home décor stores. These are always on top of the gal-pal must-do lists.